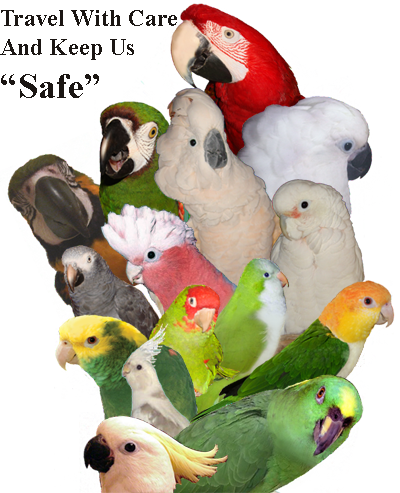 Prior to traveling with your parrot it is a good idea to associate him/her with the container in which you use to travel with your bird, whether it be a kennel or travel cage. Don't just shove him/her into it on the day of travel as this can cause quite a lot of stress and fear if you don't get your bird aquatinted with the container in advance. Every bird you own should be aquatinted in this way in the event of travel due to a need to evacuate your home like for a hurricane or other natural disaster, you can never be to ready for. Start by getting a kennel or small travel cage to contain your pet, preferably that can be secured in the vehicle by way of the seat belt or other means of securing it. In advance take the time to associate your bird with the container by letting him/her explore it, put snacks in it and a toy to make it a positive experience that many parrots actually learn to enjoy and look forward too. The toy should be some what of a foot toy, easily picked up for play and not some large dangly thing that could cause harm or need you to untangle your bird from while traveling, think small but not so small that it can be swallowed, safety is the way to go for your bird and you. While driving you don't want to be distracted obviously if your parrot becomes tangled up. Make sure a feed cup and water cup are secure in the container. When thinking about water as it can spill and than be gone it is often wiser to place some of your parrots favorite juicy pieces of fruit in it instead of water. This way he/she will not be without moisture for travel, also either bring some of your water from home in a container or bottled water to offer him/her if your travel a great distance and or upon reaching your destination. Bring extra food that the bird is accustom too, now is definitely not the time to introduce a new brand other than what he is use to and will readily consume. If you plan on a destination such as a hotel or other lodging it is a good idea to bring a mini vacuum and other items to clean up after your parrot. They are much like traveling with children, can make a mess and have needs that you need to be prepared for. It is a good idea to find out in advance if your destination such as a hotel does indeed allow pets. Other considerations are the fact that you are traveling in an air-conditioned vehicle does not insure that your pet will stay comfortable as direct sun and glare can easily come in through a window even with the window up and the airconditioner on. Just like for a baby it is a good idea to provide a nice shaded area in the vehicle for your bird. A shade screen can be purchased in advance as an item in most stores that carry things for babies and is a wise purchase indeed. As a panting parrot can not cool him/herself off like a cat or dog and even they should have these considerations when traveling with them also. also (just in case). You can never be to prepared and usually if you have these items readily available the trip goes smoothly, it's when you don't have them and are not prepared for mishaps that they most often happen. to take your parrot for a ride as he/she can learn it is enjoyable and always likes to be with you anyway. 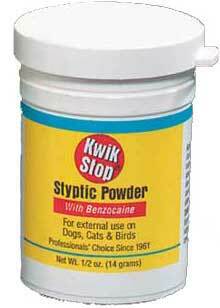 Many of ours look forward to going bye bye and even know which travel cage and or kennel is theirs. Closing thoughts, always clean up after your parrot if you stay at a hotel as the next person with a parrot will be a lot more excepted at a facility if you do. While on the road keep your parrot in his/her container so you are not distracted while driving. Keep it neat and safe for all! 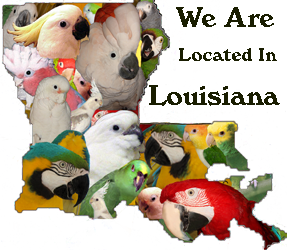 Below is a list of hotels and lodging, local to us here and the surrounding area in Louisiana that we have been told except animals. It would be wise for you to comprise a list for your own area. Quality Hotel & Conf. Ctr. Met. This Is A List Of Hotels & Motels That Allow Pets In And Around Louisiana Or At Least Did At The Time We Called Them. Nice To Know Incase Of A Hurricane Or Other Emergency.